Party Chief Akhilesh Yadav, his wife Dimple Yadav and uncle Ramgopal Yadav are on the list of campaigners. Samajwadi Party founder Mulayam Singh Yadav will not campaign for the party in the first phase of the April-May national election. The party today released a list of 40 campaigners-- which included many members of the Yadav family-- but Mr Yadav, who had been removed from the party president post by son Akhilesh Yadav, was not on it. Party Chief Akhilesh Yadav, his wife Dimple Yadav and uncle Ramgopal Yadav are on the list of campaigners. Other prominent faces include party leaders Azam Khan and Jaya Bachchan. Mulayam Singh Yadav is contesting from Mainpuri, a family stronghold that would go to polls in the second phase of the Lok Sabha election. The Samajwadi Party is contesting the Lok Sabha election in alliance with arch-rival Bahujan Samaj Party, a partnership forged to keep in check the BJP, which had swept the Lok Sabha and assembly elections in the state. The SP is contesting in 37 seats and the BSP is contesting in 38 seats. Ajit Singh's Rashtriya Lok Dal has been given three seats, whereas as two seats have been left for the Congress. 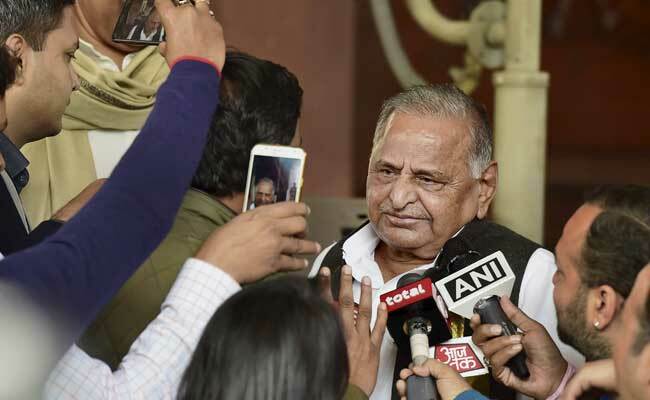 Mulayam Singh Yadav had won in 2014 from Azamgarh despite a palpable BJP wave. This time, however, son Akhilesh is contesting from the seat, considered safe due to the presence of sizeable population of the party's core voters. Akhilesh Yadav, in a coup of sorts, dethroned his father as party chief in December 2016 after a bitter feud within the Yadav family. He showed the door to his father's brother and confidante, Shivpal Yadav. Shivpal Yadav later formed his own party and has attacked nephew Akhilesh Yadav on many occasions. Last year, Mulayam Singh Yadav attended a rally organised by Shivpal Yadav. The Lok Sabha election is scheduled to be held from April 11 and will go on till May 19 in seven phases. The polls in Uttar Pradesh will be held in all seven phases. The dates of polling in Uttar Pradesh are April 11, 18, 23, 29 and May 6, 12 and 19. The counting of votes will take place on May 23.